Where’s my Stadia port? It would be perfect for Stadia. 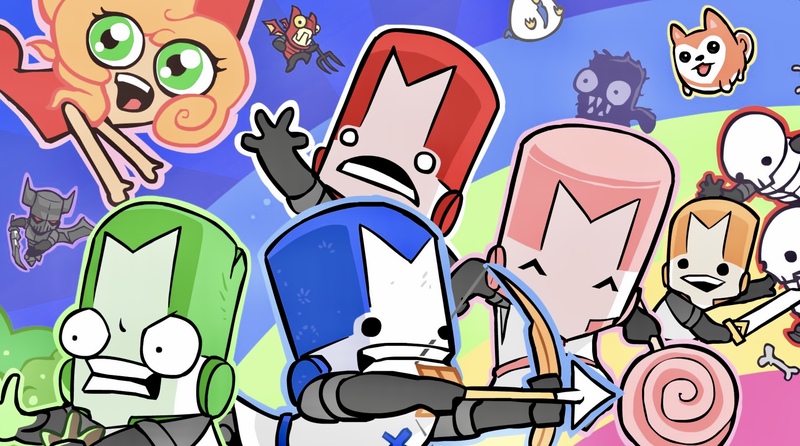 The Behemoth has confirmed today that Castle Crashers Remastered, the remaster of the classic game that first hit Xbox One in 2015, will be coming to Nintendo Switch and PS4 later this year. The remaster includes enhanced graphics, 60fps gameplay, all the content in the original release, all the DLC, plus a brand new multiplayer mode called Back off Barbarian, which The Behemoth describes as “frantic and weird”. Additionally, Castle Crashers Remastered will also support platform-specific features on Switch and PS4. The PS4 version uses the light bar on the DualShock 4 (seriously), colouring it to match the color affinity of your character. Which is… a bit useless as features go? But at least someone remembered to use that light bar I guess. The Switch version supports HD Rumble, which is only slightly less useless as platform specific gimmicks go. It also supports four player local co-op via Joycons, which is far more useful. On the whole, though, the original game is a classic, the remaster even more so, and I’m just glad more people will be able to play it now. You can check out a trailer for it for yourself below.